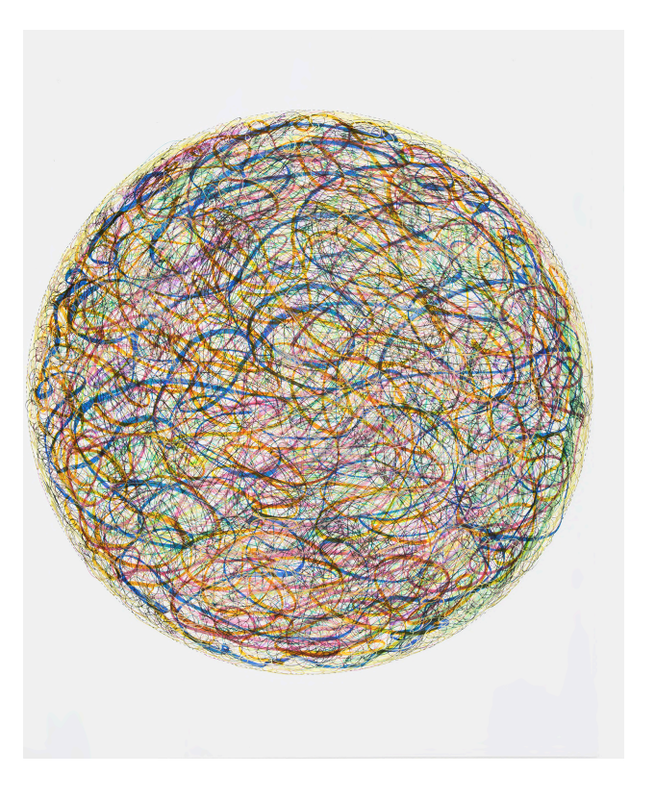 Rules can be liberating, a set of limits within which to create. 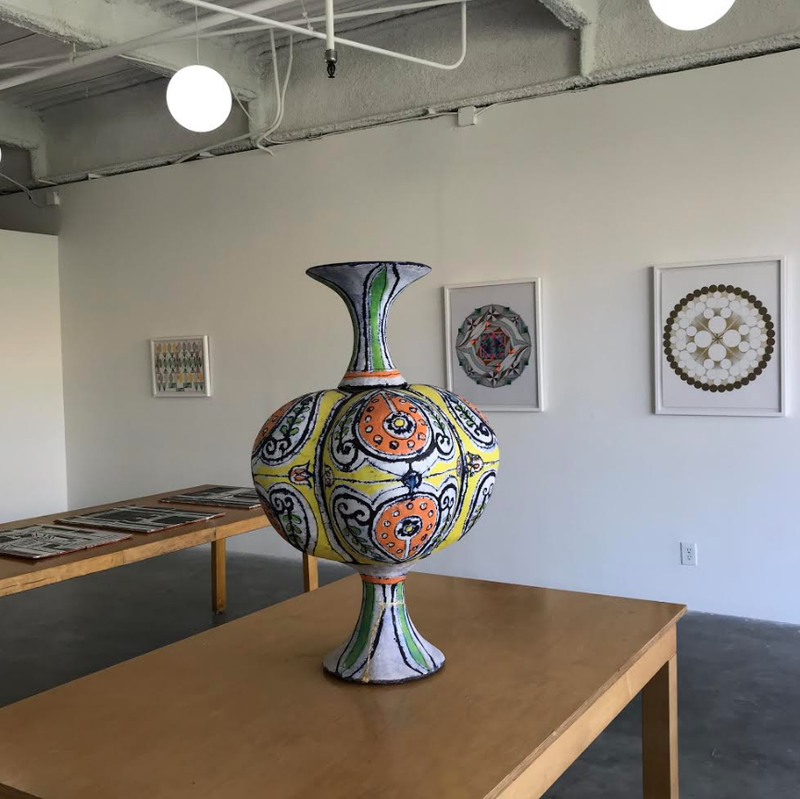 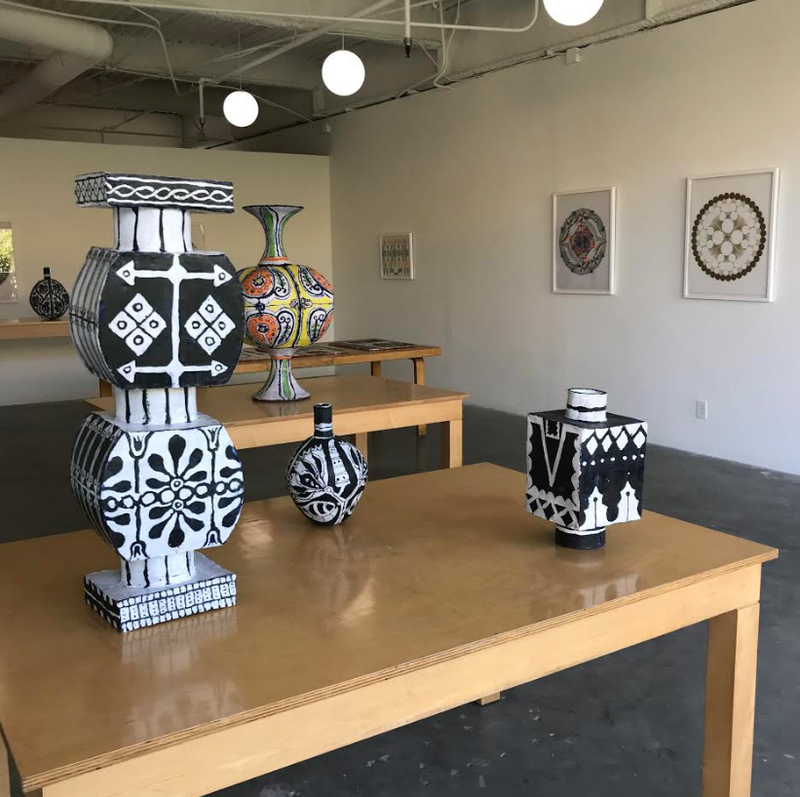 Establishing clear conditions within their artistic practices, Elisabeth Kley and Sanou Oumar work with self-imposed restriction in order to build a space for the spontaneous and imaginative to find a platform for display. 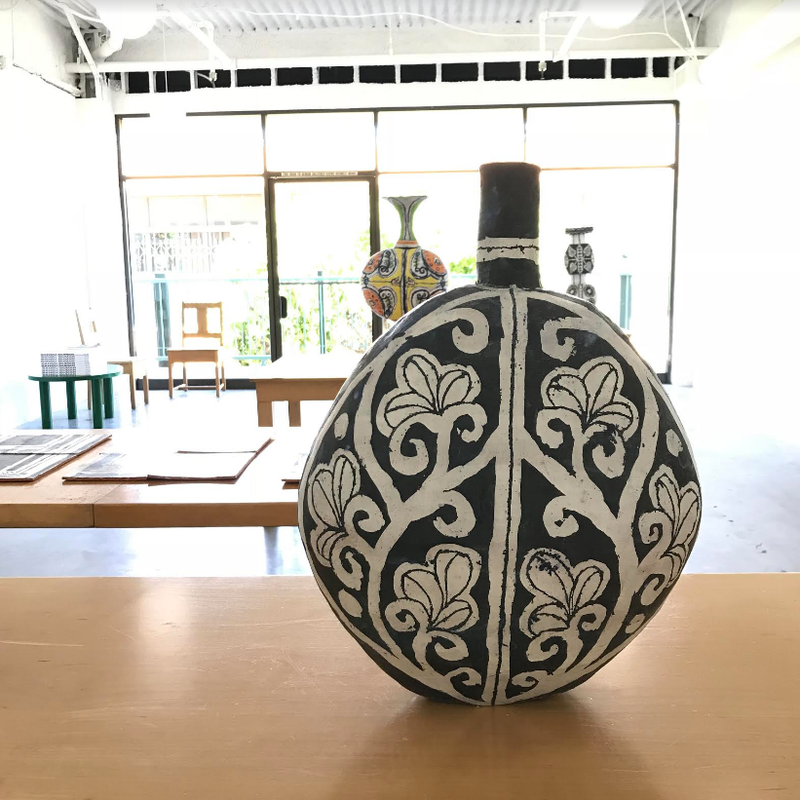 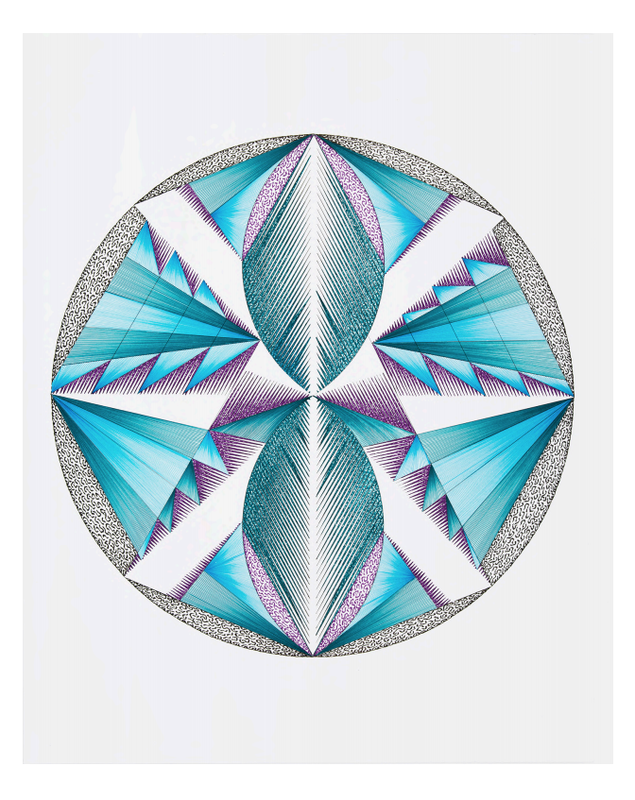 Both artists build their artistic languages from something found; for Kley, her research into historic ornamentation, for Oumar, the found objects he traces in his drawings. 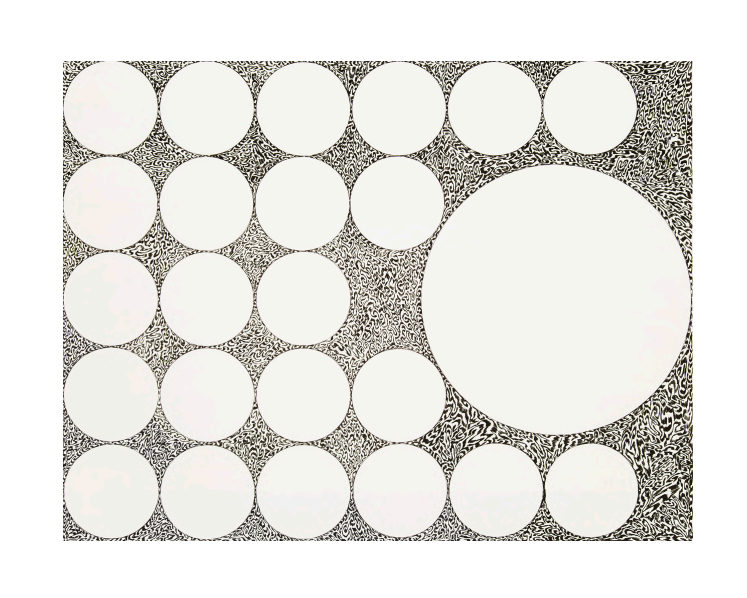 This restriction creates a meditative textural repetition in which moments of disruption intervene to inform the formal with the personal, the structural with the expressive. 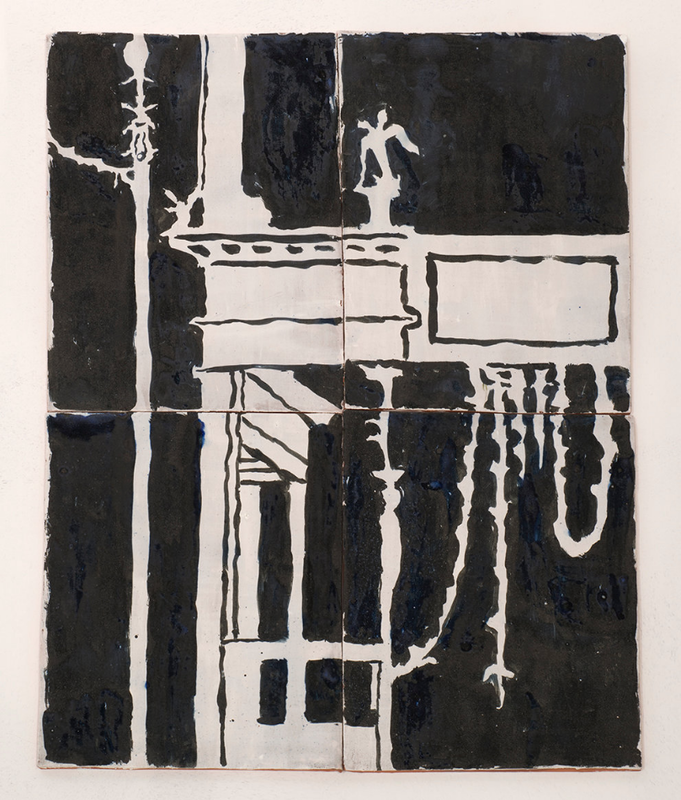 Sanou Oumar’s drawings are built from his set of drawing tools collected from daily life in New York. 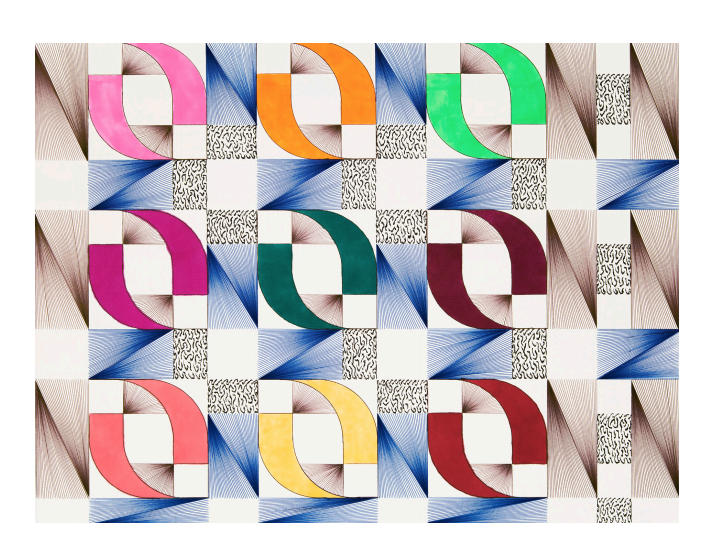 Popsicle sticks, washers, a plastic floss pick become simple shapes, circles, lines, curves, edges, as Oumar traces and rearranges these essential elements into a staggering variety of compositions. 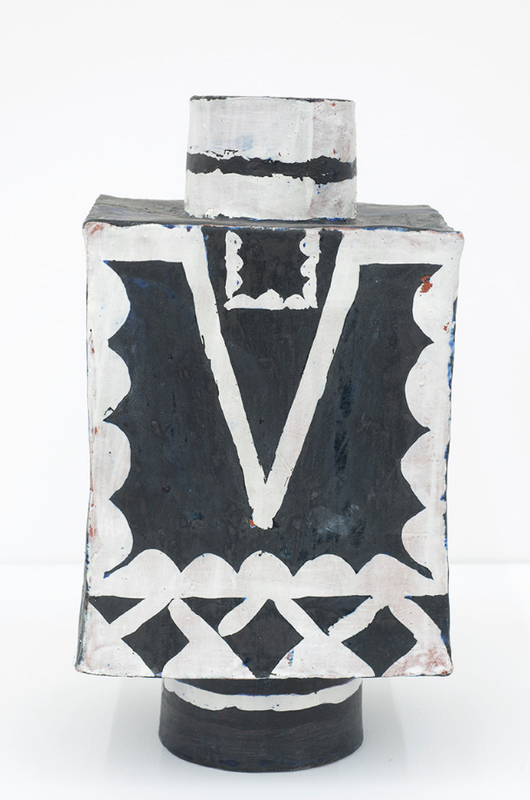 While the shapes originate in found objects, the compositions are deeply personal. 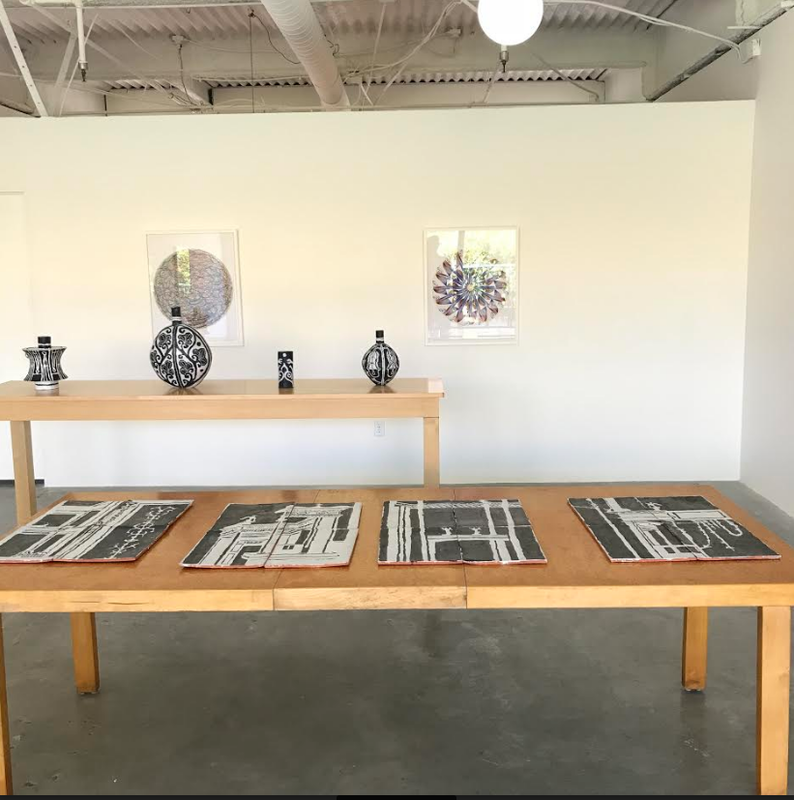 Oumar came to the US recently as an asylum-seeker from Burkina Faso, hoping to pursue his dream of becoming an architect. 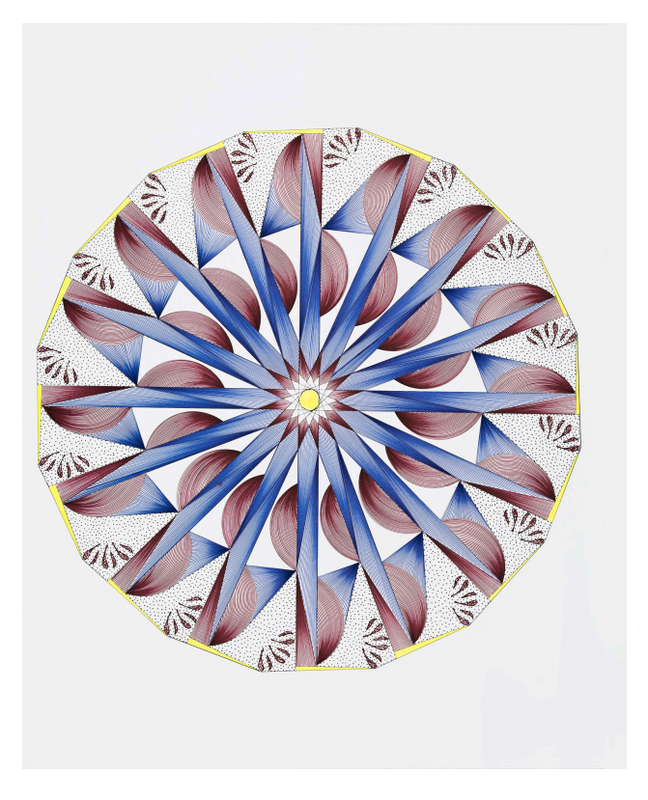 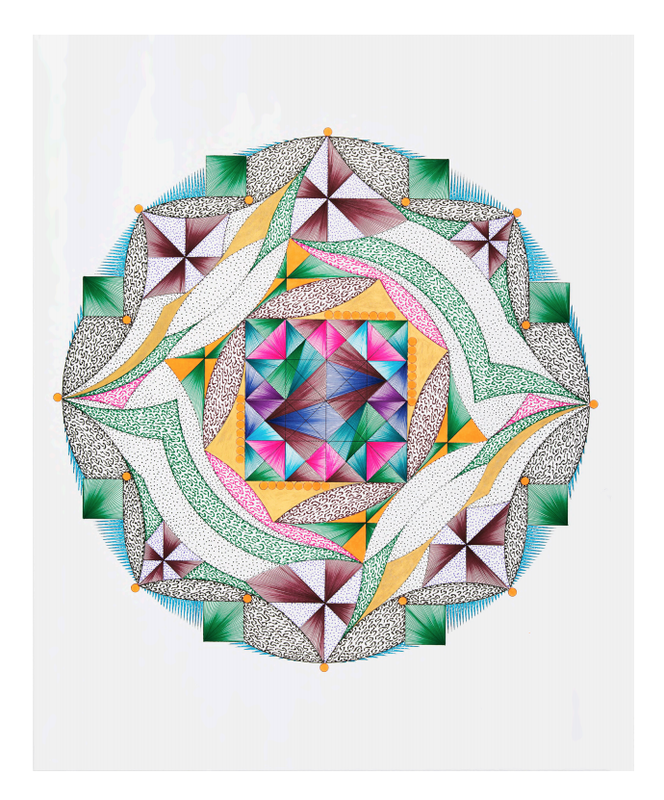 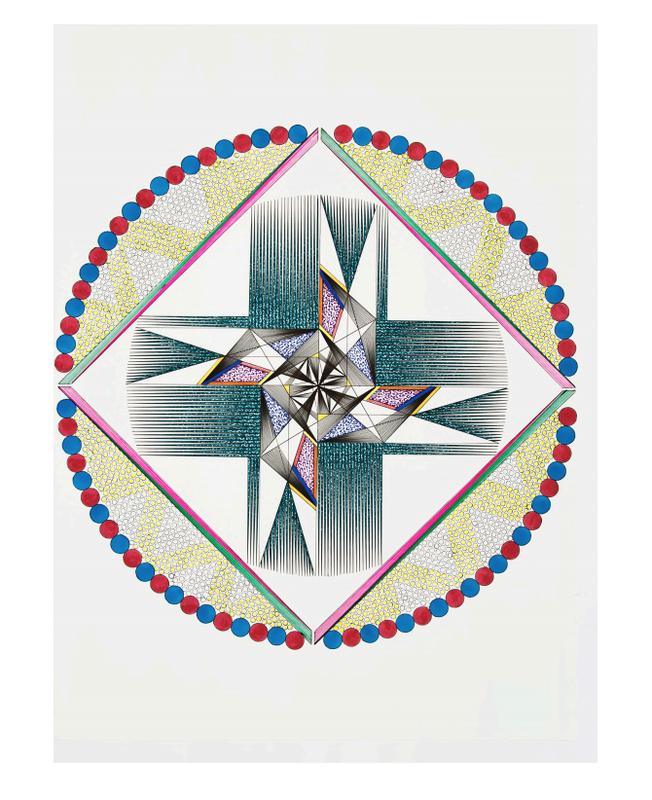 The drawings, reminiscent of mandalas, contain memories, stories and influences from Oumar’s life. 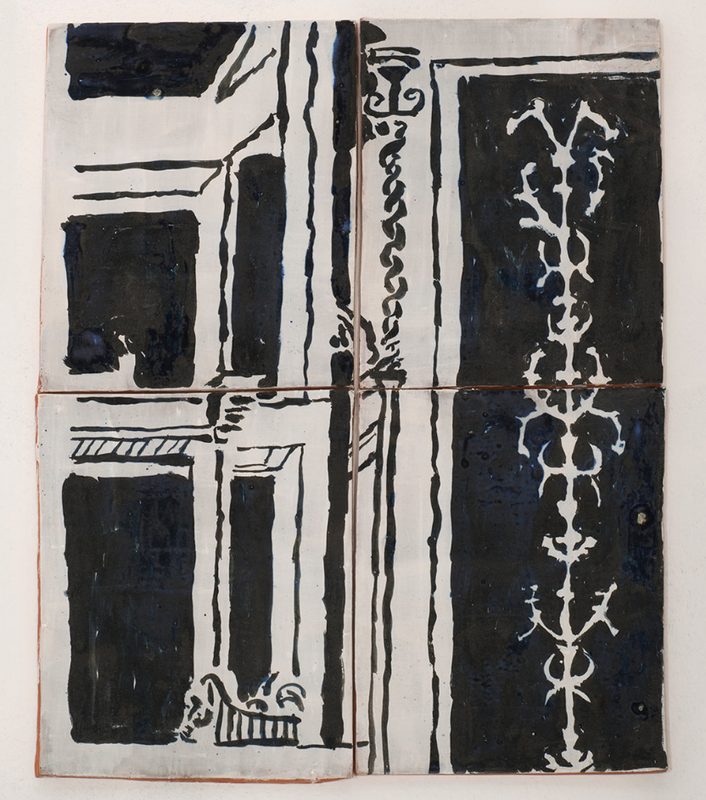 One drawing might be imbued with Oumar’s late mother’s presence, while another, an interpretation of the suspension cables of the Brooklyn Bridge. 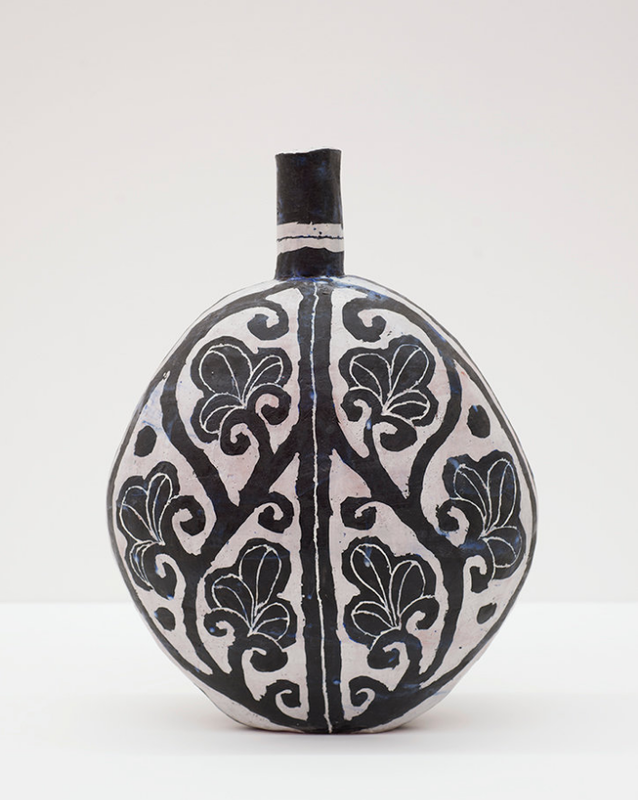 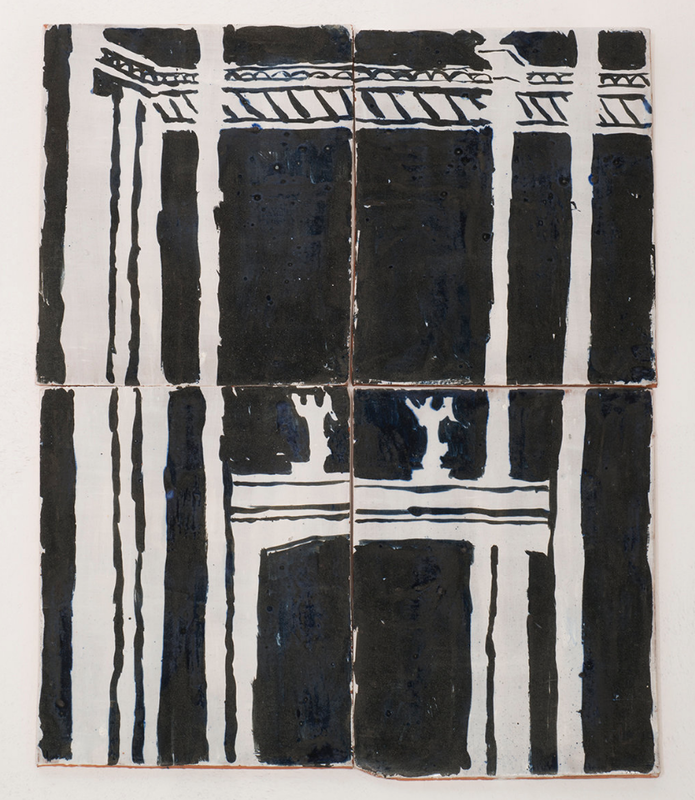 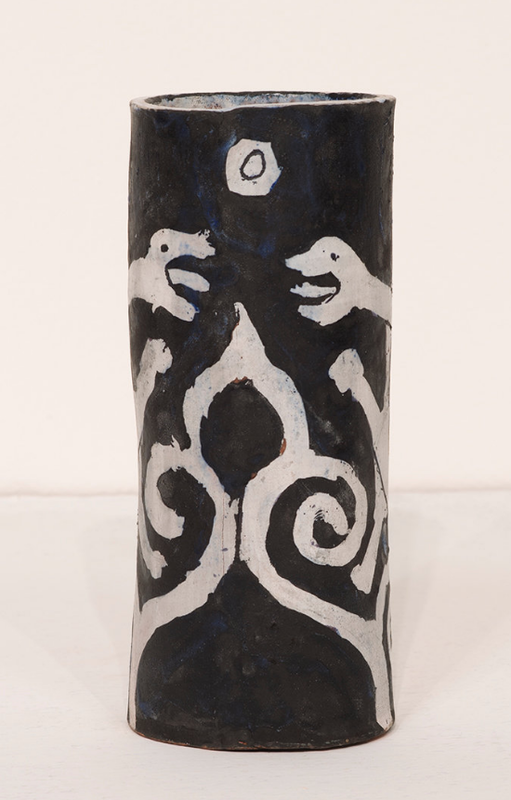 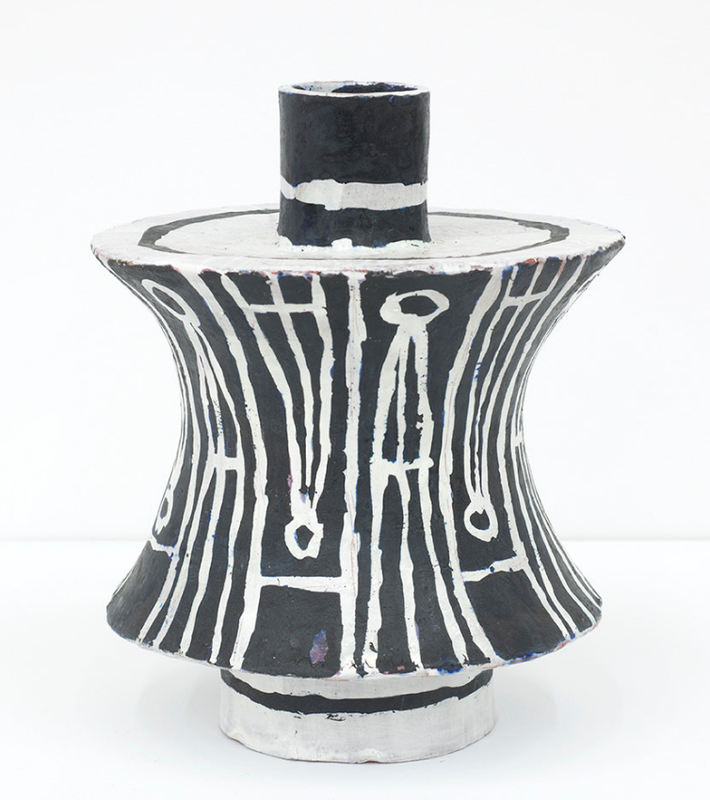 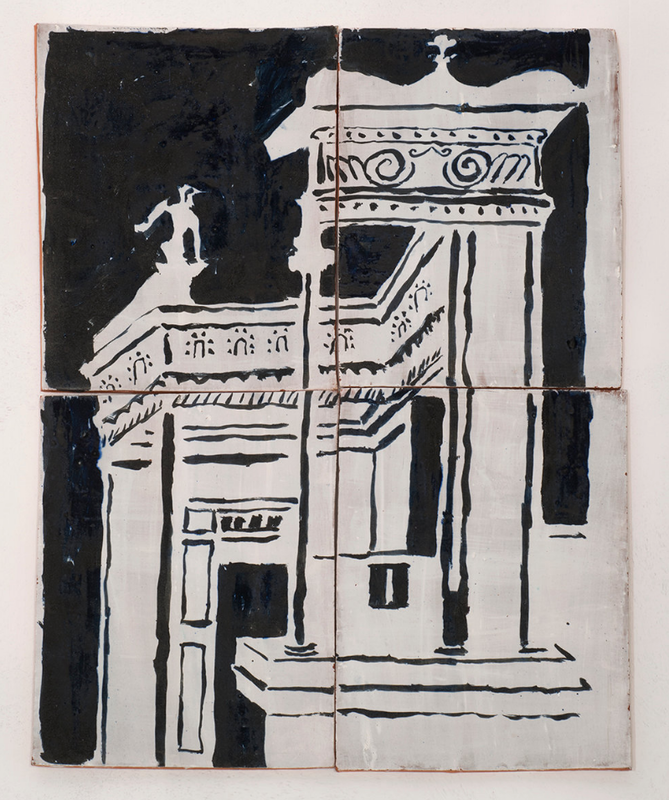 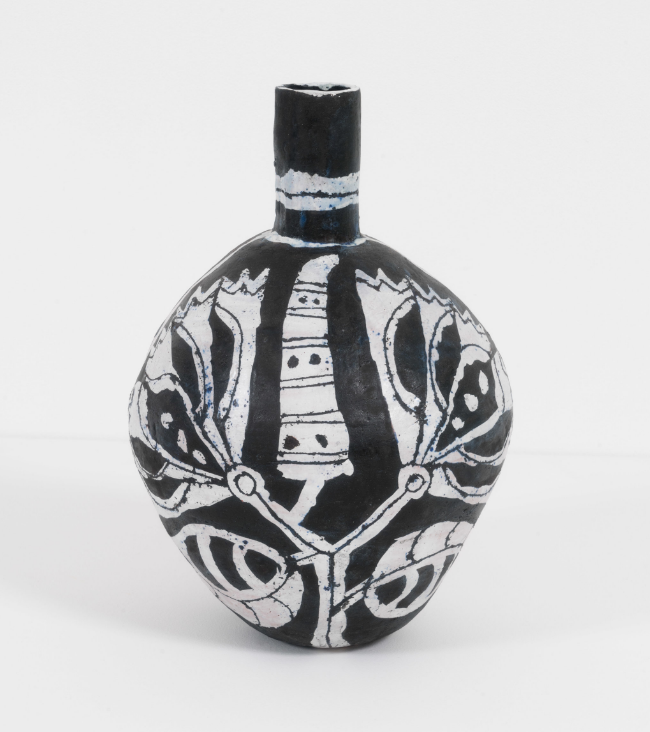 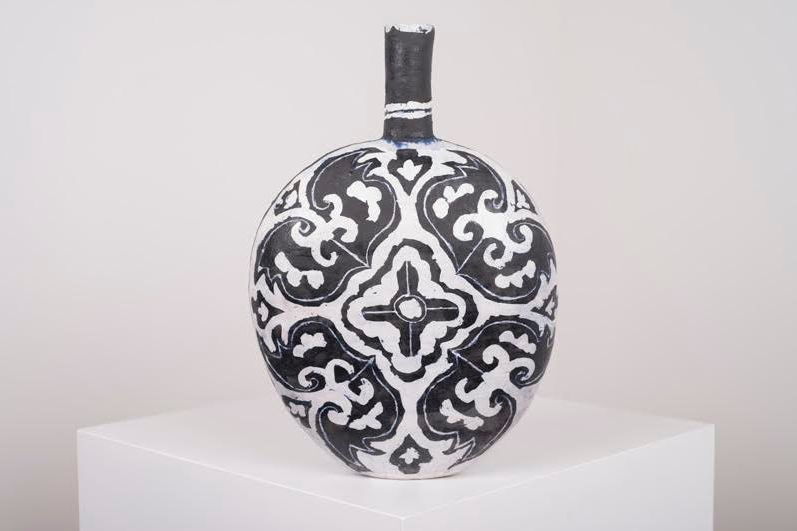 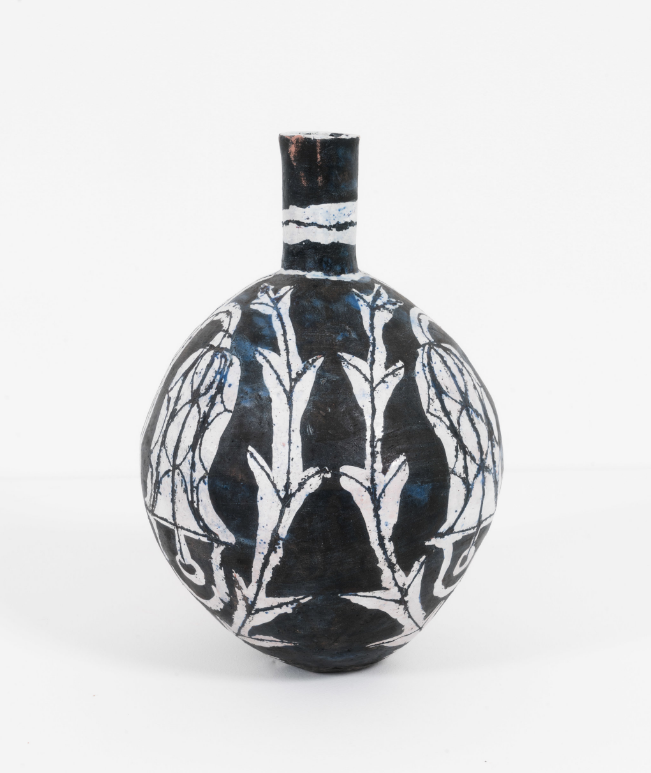 Elisabeth Kley’s ceramic vessels and drawings operate within a limited palette of white, blues and blacks. 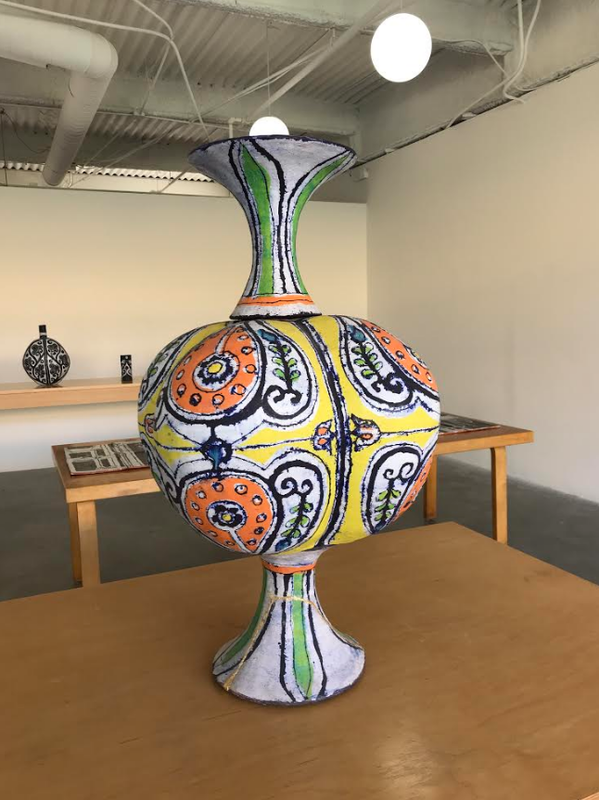 Informed by her research into European, Islamic, Byzantine and Asian historic ornamentation; the motifs on the pieces are powerful, carrying the exotic sensuousness of this history of visual pleasure. 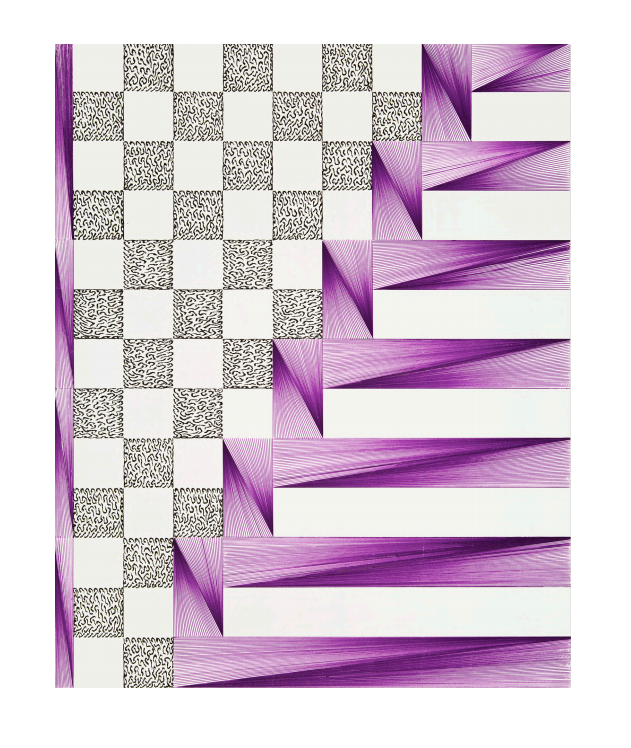 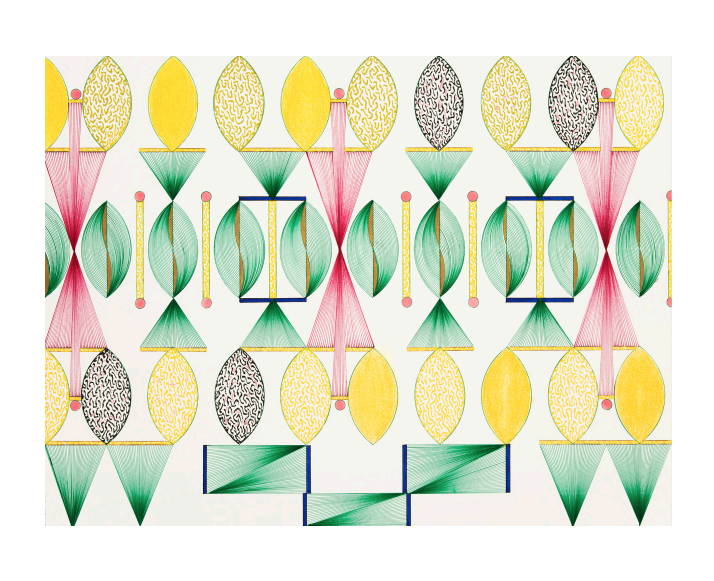 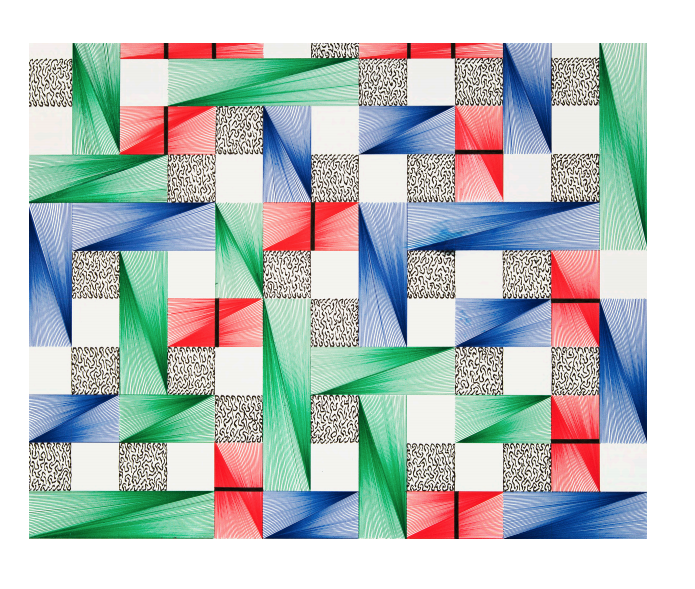 Reflecting Kley’s personal inquiry into desire and the decorative, the colors, patterns and forms become elements to reorganize and recombine. 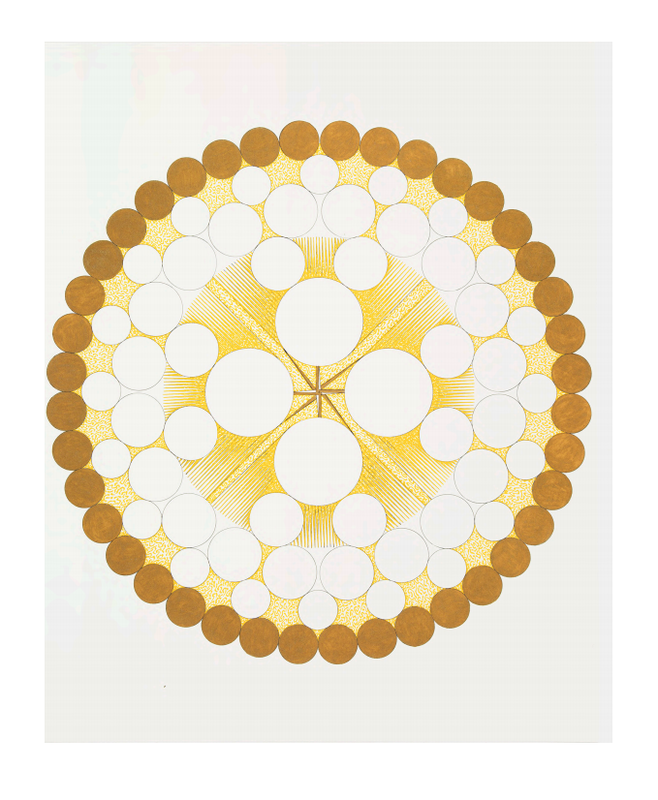 Through this form of play, new avenues of enjoyment emerge within this ancient vocabulary.